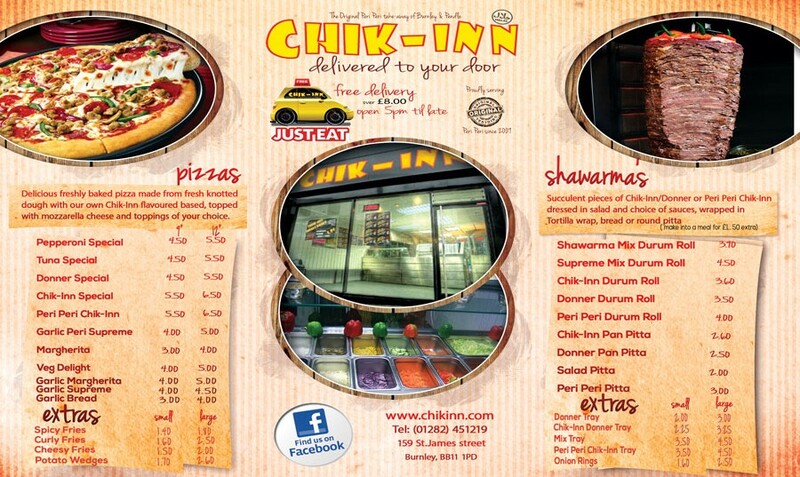 We were asked by Chick-inn to create a tri-fold menu which would display the business and food and not just be a list of products and prices. We designed a very smart and clear menu which clearly brands their premises. Chick-Inn approached our Burnley web design company instead of a Manchester website design company as we were competitively priced and because of the quality of our graphic design.